When I found out that I won the contest that MGS and Wilson threw for the PGA Championship, I was pumped! I quickly realized that I hadn't hit a Wilson club in years, so, I was very curious to go try out their offerings at the PGA Superstore. I was a little skeptical, mostly because I hadn't heard much about their irons. After scoping out a few of their offerings, I narrowed it down to the Forged C300s and the FG Tour V6s. Both were great offerings, and I was seriously considering the Forged C300s but I ultimately went with the F6 Tour V6s because they were closer to the clubs I was currently playing (Callaway Apex Pros w/ Project X PXi shafts). I was instantly impressed with how the FGs felt. They provided instant feedback on the shots you hit and performed great. They have a smaller profile then some of the other clubs you might come across, but, that is to be expected of an iron in this class. I tried out a few of the stock shaft offerings and found the KBS Tours and the Dynamic Golf AMTs to be the best fit. I ended up going with the Dynamic Golds because they had a slightly higher ball speed, were more consistent, and had a better feel than the KBS Tours. I've played a few rounds with the FGs now and I'm really impressed. They are consistent and allow you to flight the ball up, down, left, and right. The AMT shafts are kind of interesting because they are weighted heavier at the bottom of the set (i.e. the Pitching Wedge has a beefier shaft than the 5-iron). I'm still getting used to the progressively weighted shafts and haven't quite nailed down my distances yet, but I'm getting there. Some of the differences I've noticed between these and my Callaway Apex Pros are that the FGs tend to be a few yards shorter but have a higher ball flight with significantly more spin. That difference could easily be attributed to the different shafts, as the PXis are lighter and designed to flight the ball a little bit lower. I would probably have to throw the same shafts into both sets to get a better idea on any differences between the heads. So far, I'm a big fan of the FGs and I would highly recommend that you give them a try the next time you are in the market for irons. If you aren't a fan of the FGs and are looking for a little bit more distance, give the Forged C300s a shot, they seemed like a fantastic option too. Now for a few pics... Unfortunately, it's been cloudy every time I've taken these clubs out to play. I'll try to snap some better pictures next time the sun is out so that you can really see these shine! Thanks again to Wilson and MGS for providing this contest and sending me a new set of clubs! I'll add more comments after I get a few more rounds in and get a better feel for the pros and cons. Thanks for being a gracious winner and taking the time to do a write up on the clubs you got. Well done. Great write up, you did almost exactly what I would have done if I'd won the contest ðŸ˜ðŸ˜Ž. Good stuff CW. I have the V6 as well. While they aren't my full time gamer set, not a person comes into my office without picking one out of the bag and proceeds to whistle and drool over them. I need to play them a bit more, they are the best feeling clubs I've hit when struck pure. Thank you for sharing that. they look gorgeous. Enjoy. Those are some great looking sticks. Thanks for taking the time to share your initial impressions. Can't wait to hear what else you have to say about them. Watch Rick Shiels video, as he drools all over them, actually I think he even games them he likes em so much. I think you made a great choice. they are a shorter club due to the very traditional lofts, so don't worry bout that. I love seeing a winner post up on the set they won, great job! And congrats on a flame throwing serious set of stix. Do you know Wilson irons have won more Majors than any other manufacturer? Lol. What can I say. I love beautiful things. Pro tip: overcast conditions make for better pictures! Yeah, seriously nice-looking set of irons! And Congrats! on your .. "Major" ;-) .. win! 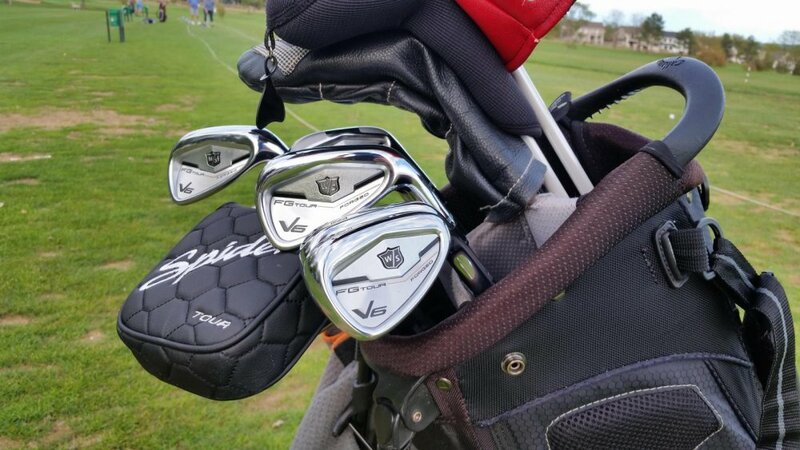 Excellent write-up, those are some beautiful clubs. Thank you for sharing. I'm not gonna lie, I'm jealous. 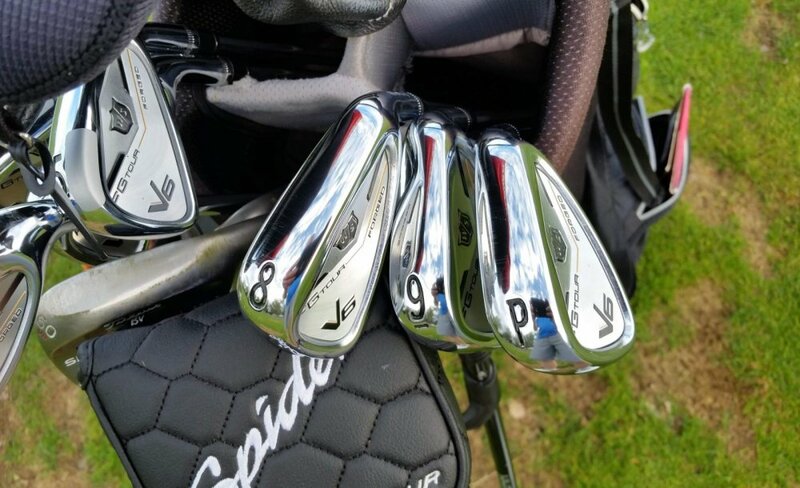 Congrats on the new irons and thanks for the write up. Let us know how these irons are holding up after a few more rounds. Just curios how many set's of Beautiful "things" do you have??? First time to the forum and I'm starting this thread fairly selfishly, but could be cool to see what everyone's recommendations for upgrades would be! Currently playing a set of Mizuno MP60's that I bought used about 10 years ago....long time. I always buy used clubs cause prices are just too crazy for me (still waiting on that lottery ticket to hit for that custom fitting experience). My question is: What would be y'all's recommendations for an iron set that's comparable to the MP 60's (I love the thin topline and forged heads), but a newer set would make me feel all warm and fuzzy inside. 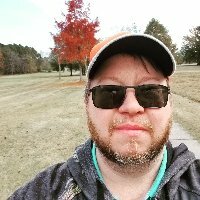 Not too loyal to any brands but really interested to see what I should give a few whacks at my local golf store. Thanks in advance and I look forward to seeing what everyone's playing and what everyone's drooling over. Bought brand new with original box and spec sheet last fall for $1150.00. With a new back milled club face, the JPX919 Forged iron golf club is Mizuno's fastest ever forging in measured ball speed. Balanced with Mizuno's trademark workability and elevated Grain Flow Forged HD feedback - the JPX919 Forged is also Mizuno's most versatile iron. In the hands of a tour player searching for a distance equalizer or an amateur wanting feedback to evolve their game - the streamlined JPX919 Forged delivers on every level. Sold!! Thanks everyone for the interest! Grab a set that is currently the focus of the Wilson D7 challenge going on across the US. The specs on these are 1/2 long and 2 degrees upright. Hit me up with any questions, already have some inquires about these in the shop, but wanted to give my fellow spies who are in the market for a great affordable set of irons to start the year. Note: the face's actually look much better in person than the pics, the only one that is really heavily used is the 7 (top pic 2nd from left) as it's been used on the range a lot more than the others.